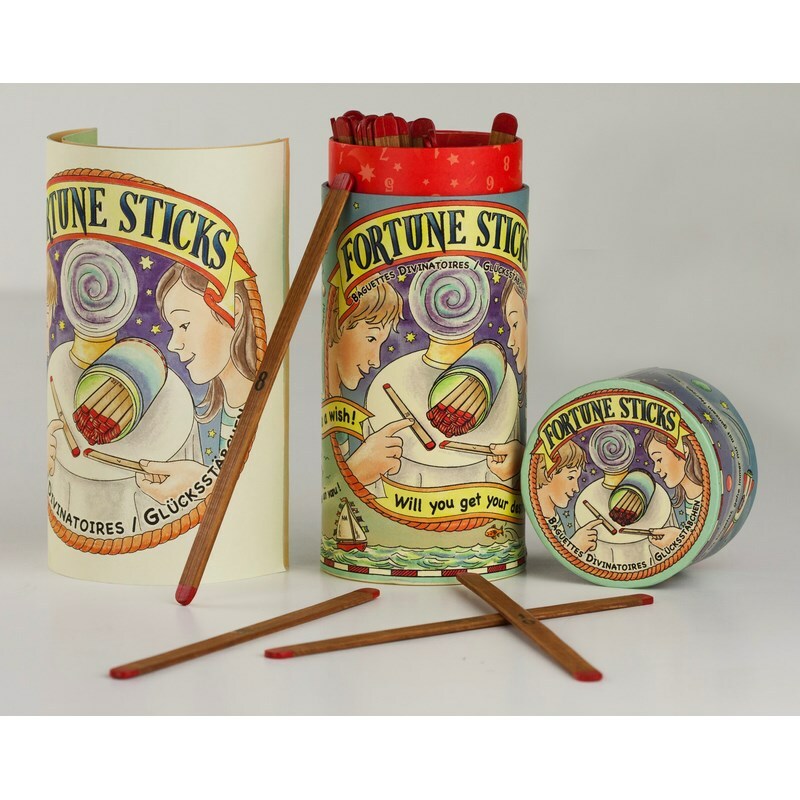 All sticks are numbered and correspond with a short write-up in the booklet. The style is somewhere between a prediction and common sense, with quotes of sages throughout history like Confucious and Lao Tze. 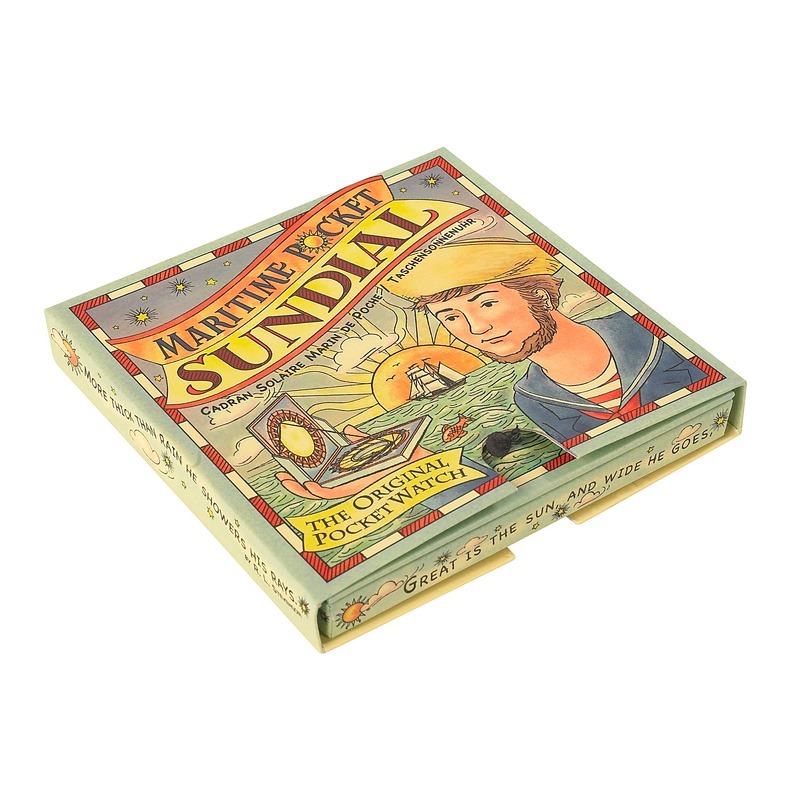 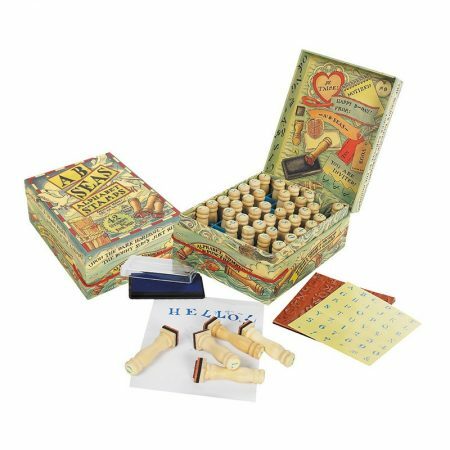 A great gift and fun to play! 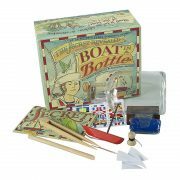 Easy to create, highly interactive. 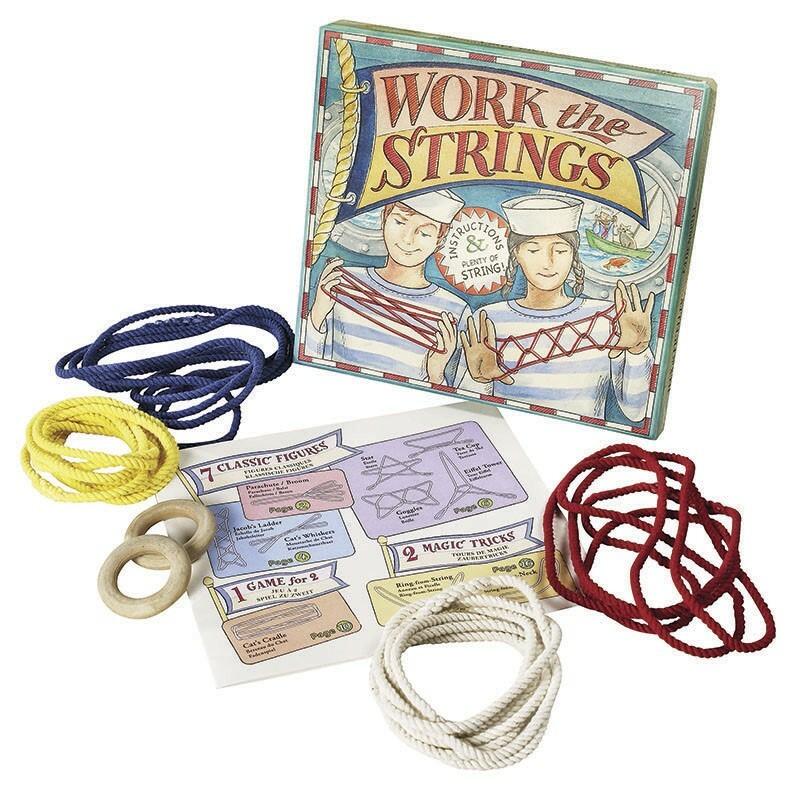 Knowing a couple of decent knots by heart comes in handy. 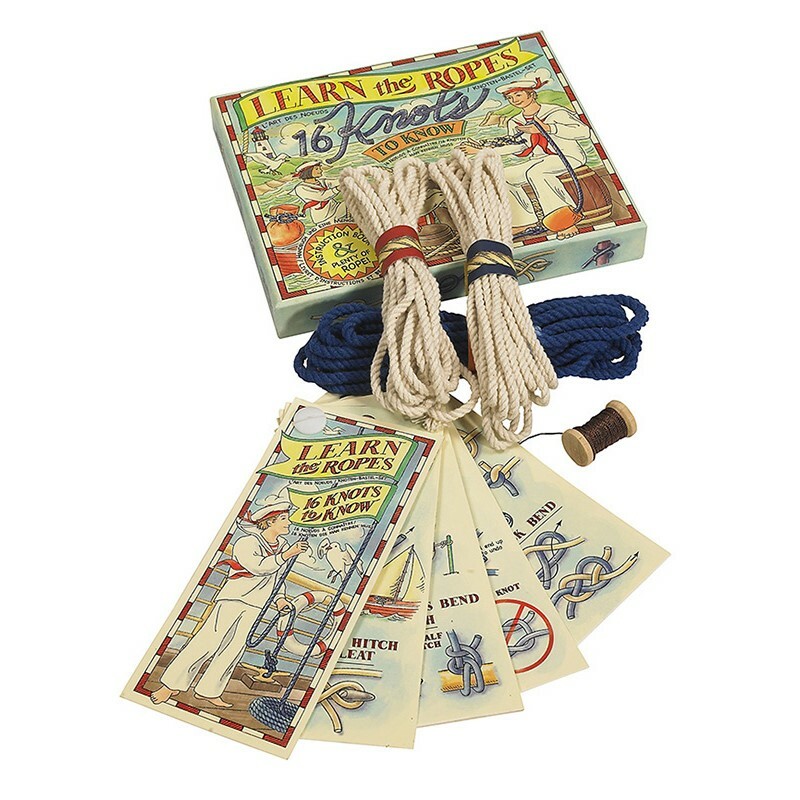 Sailors had to Learn the Ropes. 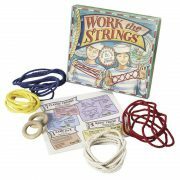 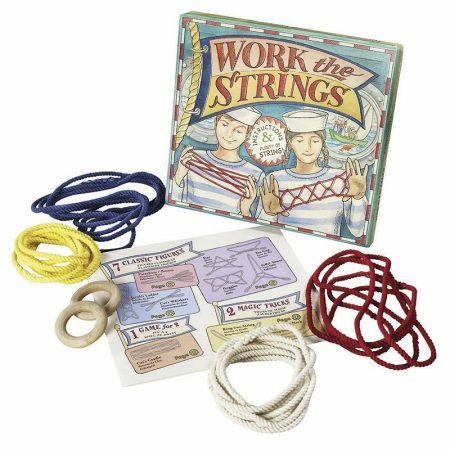 Many kids love to experiment and actually see for themselves how knots made perfect practical sense. its fun! Invent patterns and compete for speed! 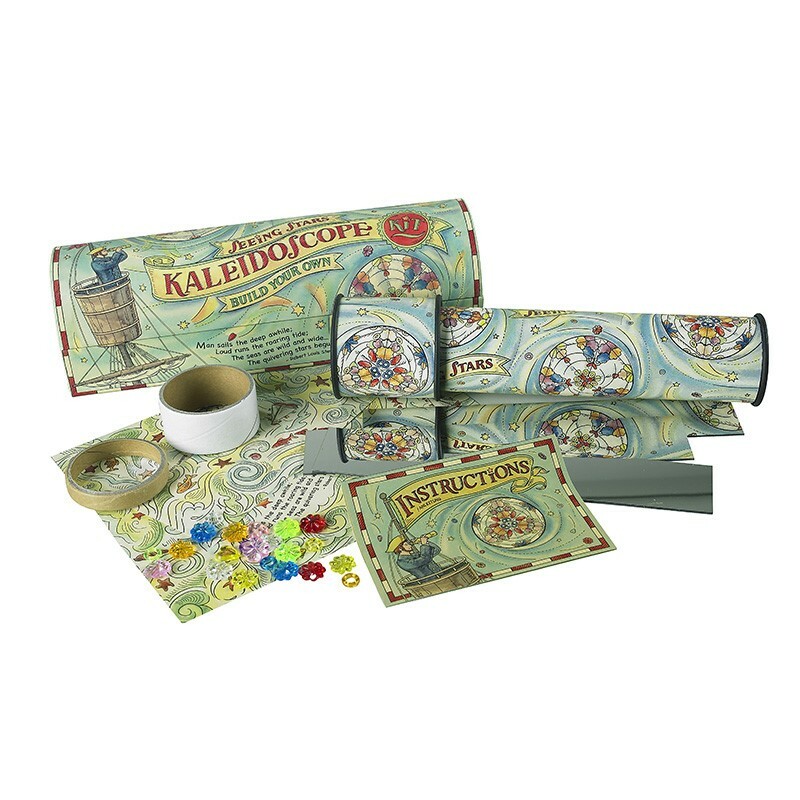 Build a pirate’s galleon. 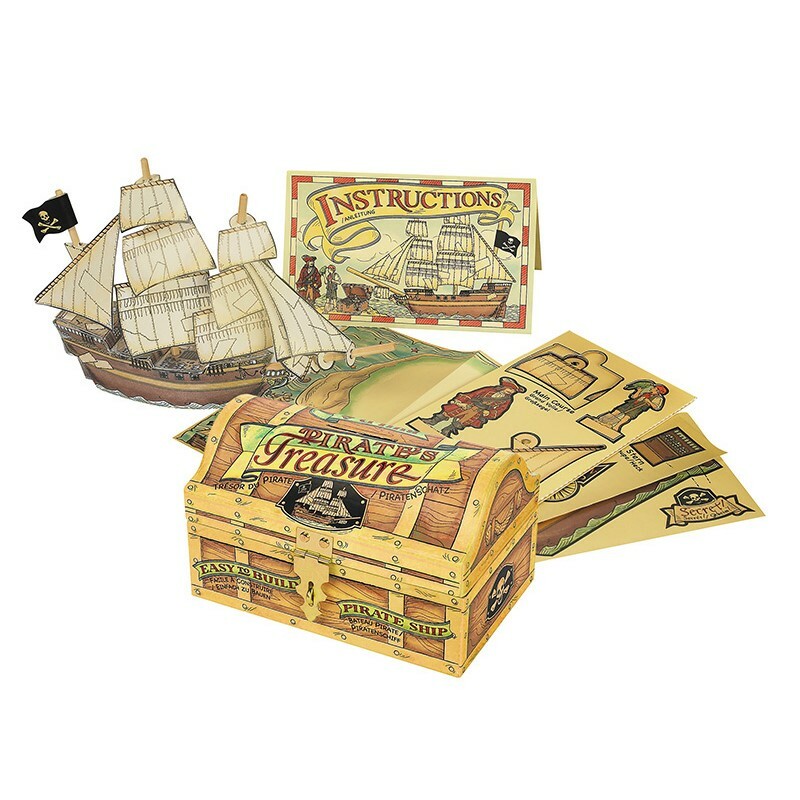 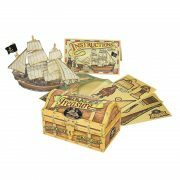 Includes a treasure map. 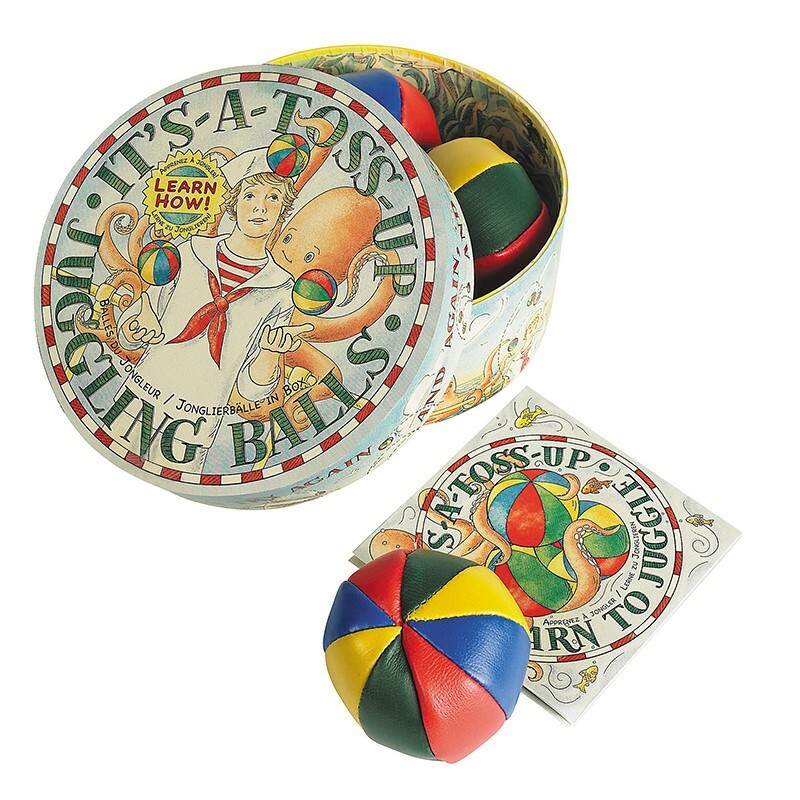 Three hand-stitched professional juggling balls, in proper colors, bright and cheery, inviting you to toss ’em up. 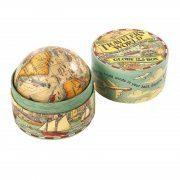 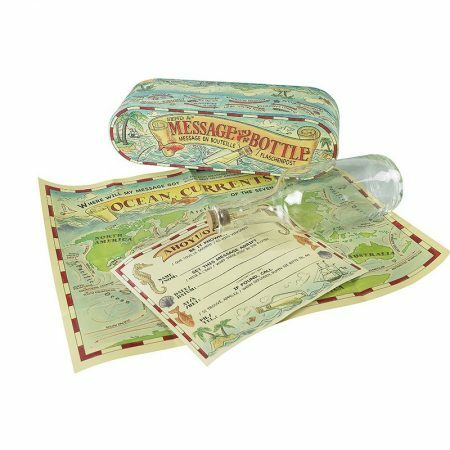 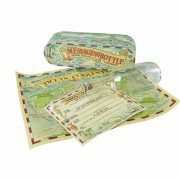 Comes with bottle, message, cork, and map of ocean currents. 42 wood turned stamps with ink pad. Featuring a complete alphabet, numbers, and punctuation. All the tools and instructions needed to make your very own ship in a bottle. 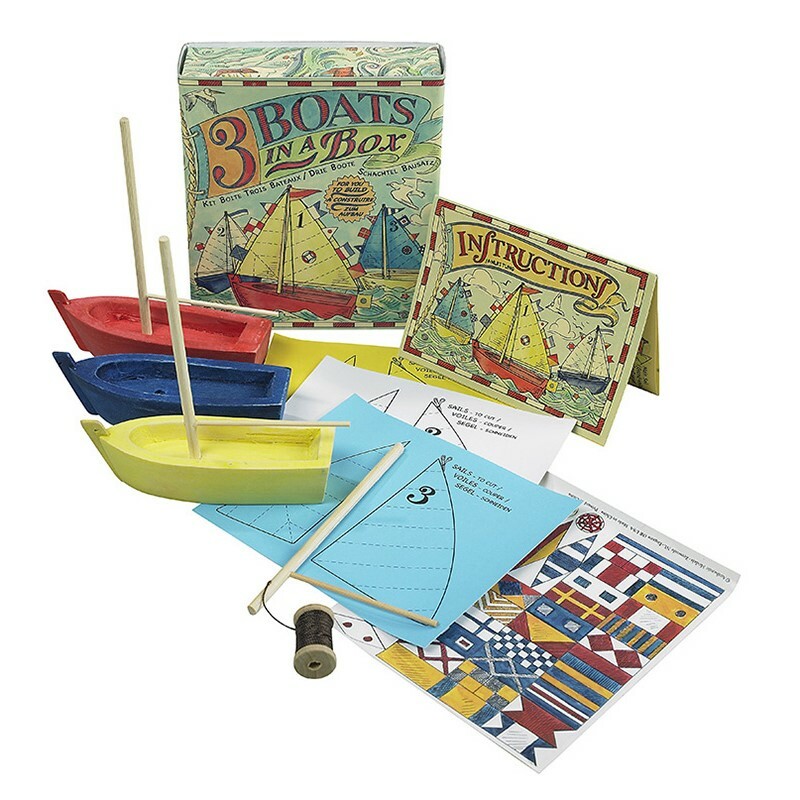 Build your own fishing fleet. Add signal flags for a fun, finishing touch. 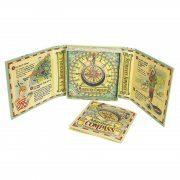 where will the compass lead? 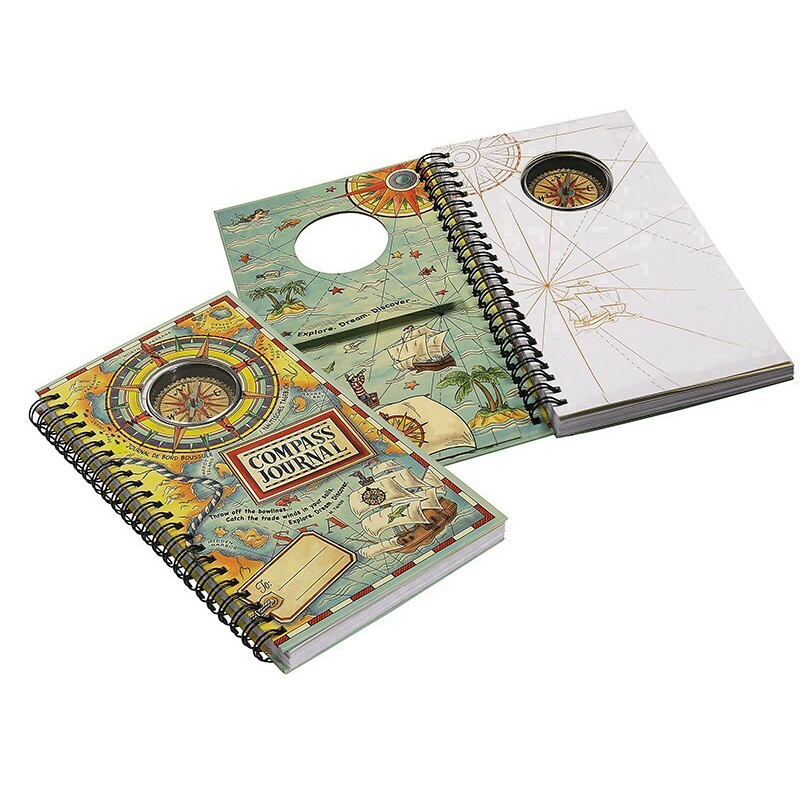 compass and journal in one.